Is this the future of home renovation? The "View in My Room 3D" function on Houzz. A frustrating attempt at renovating a house in California prompted one couple to start a business that aims to help others avoid the same headaches. Israeli couple Adi Tatarko and Alon Cohen found the process of revamping their house in Palo Alto back in 2009 far more difficult than they expected. "We had a hard time finding good resources and inspiration to help us articulate a vision for our home and to find the right professionals to make our vision a reality," Tatarko, who is CEO, told CNNMoney. The couple, who Tatarko said had "always loved interior design," were inspired to set up an online platform to make home renovation easier. That year, they launched Houzz, which connects users with industry professionals like interior designers and architects. Today, the site has more than 40 million unique monthly users, according to its founders. One year after launching Houzz, Tatarko and Cohen quit their jobs -- she worked in financial planning, he was an engineer at eBay (EBAY) -- to work on the business full time. Cohen coded the first version of the site. Initially, they asked parents of their children's friends and local designers to sign up for the site, which is free. Alon Cohen, left, and Adi Tatarko founded Houzz in 2009. Houzz grew by word of mouth, enabling them to hire their first employees in 2010. Four years later, the company expanded into the United Kingdom, its first market outside the United States. 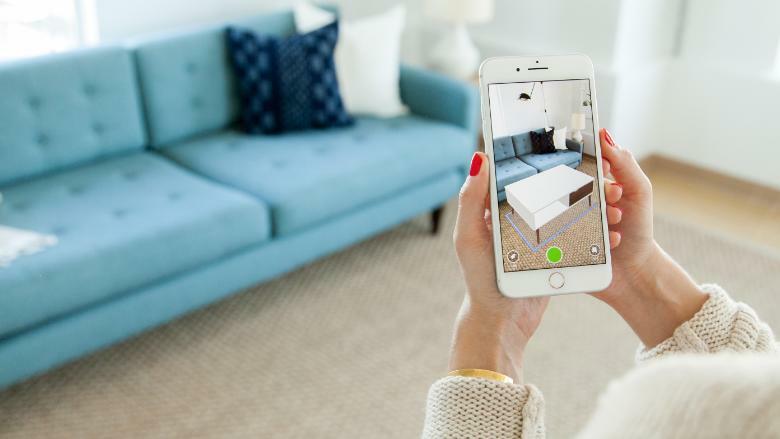 Homeowners can brainstorm ideas with professionals, preview what pieces look like in their home using augmented reality, and buy furniture on the site. Houzz has two main ways of making money. Its premium model allows professionals such as architects, landscape contractors and furniture brands to pay to boost their visibility on the site. The company also takes a cut when furniture is sold in its marketplace, which now features 10 million products from 20,000 sellers. The startup's latest round of funding from investors in June 2017 raised $400 million, which it said went toward expanding its technology. The company declined to comment on how much it's worth, but according to research firm CB Insights, Houzz was valued at about $4 billion in last year's funding round. Available as a website and app, Houzz has grown into a global operation, with localized services in 15 countries, and regional offices in London, Berlin, Sydney, Tel Aviv, Moscow and Tokyo. "We're changing the way that people shop for their homes," Tatarko said. "People can find everything they need for their project, whether they want to redesign a room or build a multimillion dollar home -- and everything in between."